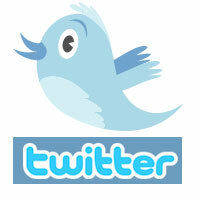 Twitter is a free social media and micro blogging tool that let users to send and read messages known as tweets. Tweets are text-based posts of up to 140 characters displayed on the author’s profile page and delivered to the author’s followers. In other words, someone can follow you and receive your tweets. Twitter communications can be viewed and updated on the Web, through desktop application, or via mobile devices. It is a convenient communication channel which can be updated in anytime, anywhere. There are 3 major usage of twitter for business. You can build a twitter for your company and make use of the tweets to deliver your business message. By using Twitter as a marketing channel, you can post your company news, press releases, promotion events in the twitter. Your message can be delivered to the followers then. Let your employees build a twitter and tweets in person. Compared to the marketing channel above, this can give your follower a feeling of real humans. It is natural for your employees to express personal opinion or feeling. They can express their own feelings on the latest news, your company, etc. Employees can post questions for quick answers and answer questions to establish credibility. These can improve the connection between your company and client. Twitter is a good communication tool. It can be used to share the company internal news, project status, etc among staffs. It’s just like a notice board and users can even express their view on it. How to Get People to Follow You? 1. Follow them. It’s common to follow people who follow you. If you follow others, others may follow you also. 2. Add Twitter to your website, contact page. 3. Add your Twitter feed to your blog. 向客戶發送個性化電郵, 推廣宣傳你的產品. 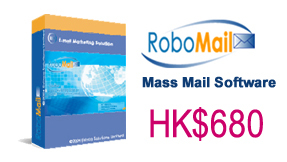 立即下載 RoboMail 試用. Yes. twitter and facebook are important today in online marketing.